Losing to Manchester United is always hard to take, but the 2-1 defeat at Old Trafford was particularly disappointing as it came at a time when Jürgen Klopp’s men were flying. Having accumulated a run of seven games unbeaten, they had swept into the Champions League quarter-finals and underlined their top-four status. The Reds still look good for a finish in the Champions League qualification places, and fans who check out betting site Stakers.com will find them rated as second favourites to win the Premier League next season. However, victory in Manchester would have offered tangible evidence that they are the principal – albeit distant – challengers to Manchester City. In many ways, that is their rightful place. Only Guardiola’s side have scored more goals this season, and only City have produced football to match the exhilarating attacking style created by Klopp. However, it was not to be. 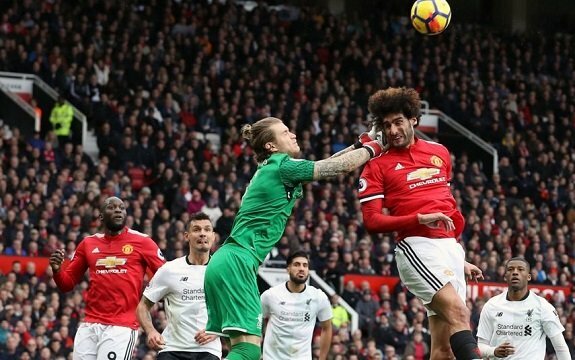 A typically obdurate and cynical Manchester United game plan, in which they managed just 36.3 per cent possession in the opening quarter of the game, focused on containing Liverpool’s considerable threat, and two old-fashioned long-ball goals settled the game, with Eric Bailly’s late own goal not enough to change the outcome. The most disappointing aspect of the defeat is that United’s tactics were entirely predictable. Before this game, Klopp had taken on José Mourinho four times in the Premier League. After an initial 3-1 defeat at Stamford Bridge, the Portuguese changed his approach against Liverpool and in the three subsequent games focused entirely on countering Klopp’s attacking style, securing three draws in which only one goal was scored. At Old Trafford, Mourinho “parked the bus” once again, but this time they were able to profit from Liverpool’s defensive failings to score two breakaway goals through Marcus Rashford. What can the Reds learn from that defeat? While the inability to break United down was frustrating, this has not generally been a problem this season. Klopp’s side have fared much better against “park the bus” tactics this campaign than last, and while from time to time teams who adopt that approach will get lucky, the fact that Liverpool have scored more goals and suffered fewer defeats than anyone other than Manchester City suggests that they are generally doing well against teams that set out to frustrate them. Defensively, the picture is not so positive. Liverpool may be third in the table, but in terms of goals conceded, they are sixth. At first glance, it might be tempting to blame individual defenders. For instance, with both United goals, Dejan Lovren was beaten in the air by Romelu Lukaku, and Rashford was able to evade Trent Alexander-Arnold. However, ultimately, Liverpool’s defensive frailties are tactical rather than individual. The other sides in the top four all incorporate sound defence into their strategy. For instance, City give their defence breathing space by retaining the ball for long periods, while Tottenham have an extremely well-organised and flexible back line. Liverpool, by contrast, too often have a gap between defence and high-pressing midfield, and when hit by a quick counter-attack, they can look ragged and disorganised at the back. This tactical weakness was exacerbated by Klopp’s selection on the day. By not putting James Milner on the right side of his midfield three, he missed an opportunity to give Alexander-Arnold some experienced cover. Instead, the young full-back was left isolated by the more attack-minded Alex Oxlade-Chamberlain. It was a potential weak link in the Liverpool defensive setup that United exploited well. However, one of Liverpool’s many good qualities under Klopp is their ability to bounce back from a disappointment. After their 4-1 defeat at Tottenham last October, for example, they went on a thrilling unbeaten run of 14 games that included a famous victory over Manchester City. In thrashing Watford 5-0 on Saturday, Klopp’s men showed the same character and gave their fans another instalment of thrilling attacking football. It should also be remembered that there has been clear progress in the three seasons under Klopp. At this stage in the 2015-16 season, they had 48 points. Last year, after 31 games, they were on 58 points, and their current 2017-18 tally is 63 points. With a little more attention to their defensive organisation – particularly in light of the tough challenges that await them in the Champions League – there is no reason why the Reds cannot finish this season second in the Premier League and make an impact in Europe.